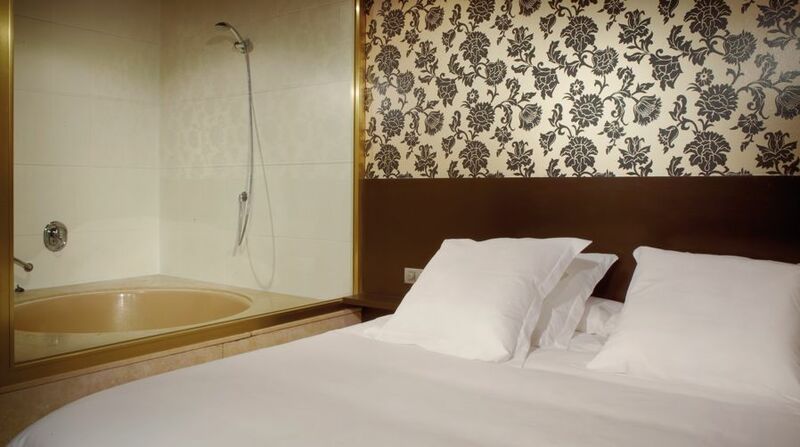 Motel Punt14 | Suite | Book hotels per hour Barcelona. Discrete. Spacious room with private parking just outside your room’s door, granting you easy access to your car at a moment’s notice. Dark-toned décor and floral wallpaper over a background that varies in colour depending on the room (white, turquoise, brown or burgundy). 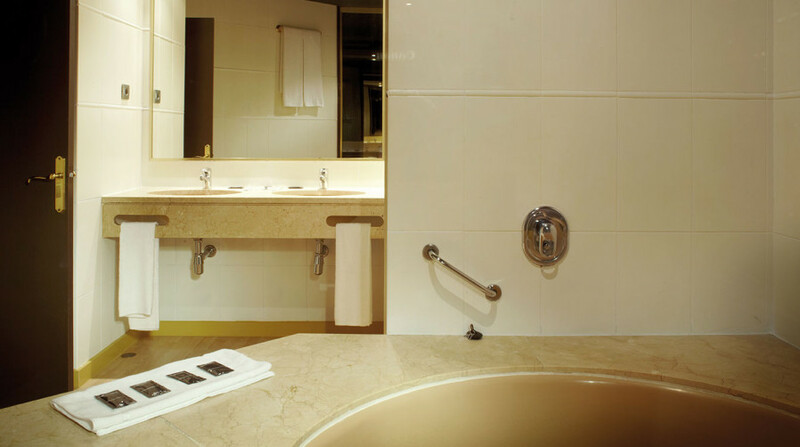 Bathing area with circular bathtub for two, visible through a glass wall from the bed; twin sinks, with separate toilet and bidet. Super king-size bed, parquet flooring, small sofa, wardrobe… Amenities: Television with adult channels, sensual music, dimmable lights, climate control, wifi and 24-hour room service. Reveal your sexiest side at Punt14.